If you’ve played the Civilization series on the PC, you must remember how important it is to sign peace agreements with other nations. 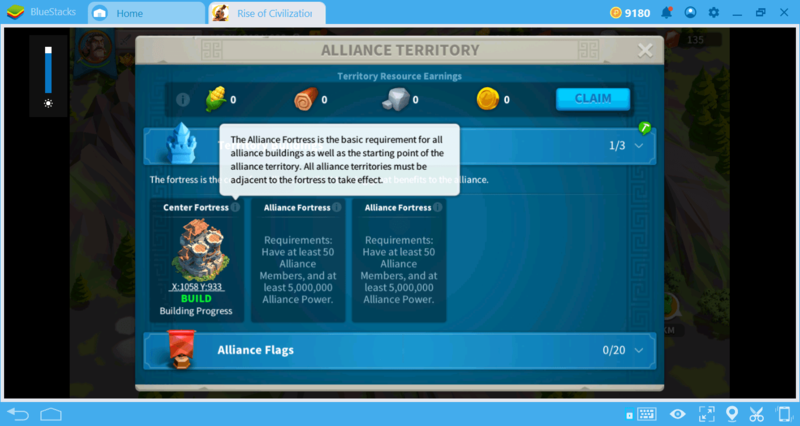 The alliance system in Rise of Kingdoms offers a similar experience. We can define an Alliance as the unity of the nations that support each other. 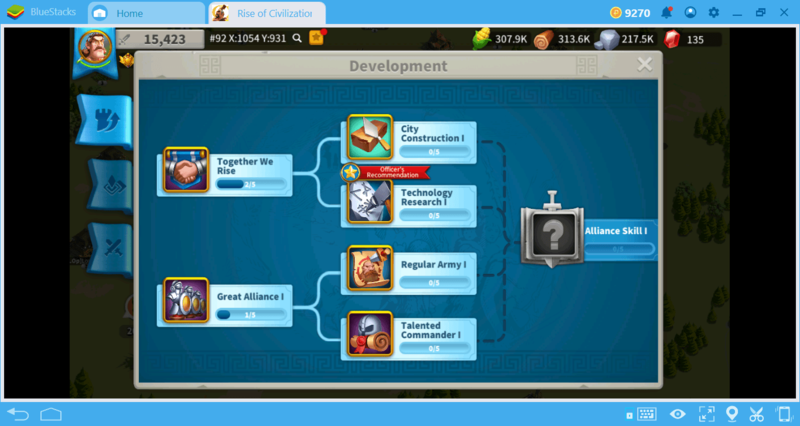 This is not a simple guild system: When you join an Alliance, new mechanics are added to the game and you start to get a completely new experience. If you are new to this system, you can use this guide to learn how to make the most of it. 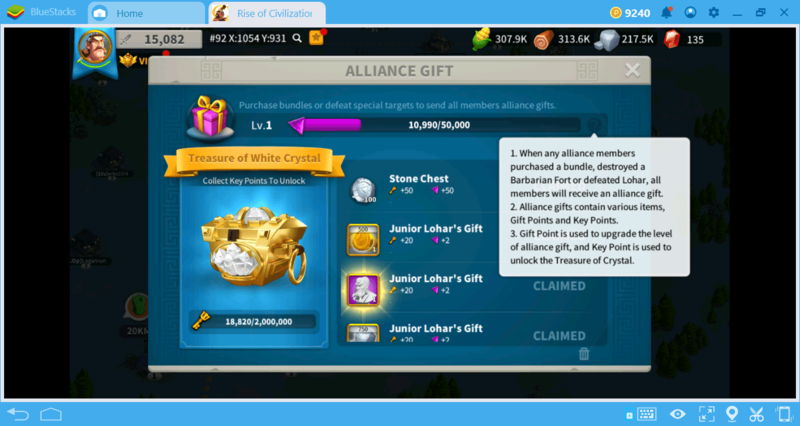 What Is An Alliance And How Can You Join One? 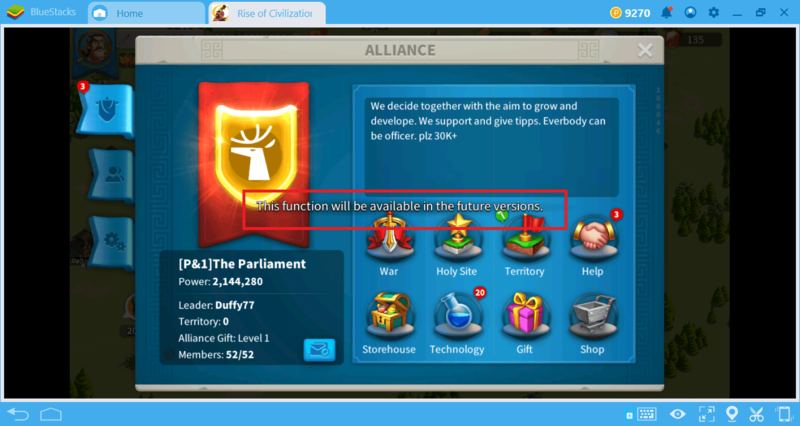 We can define an Alliance as an advanced guild system, which can be seen in similar games. There are a lot of alliances in the game: You can join one of these or create your own. If you want to create your own alliance, there are two things you need: 500 gems and the “Alliance Center” building. If you don’t spend the gems you get for free, it is possible to collect 500 gems after a maximum of 3-4 days of gameplay. 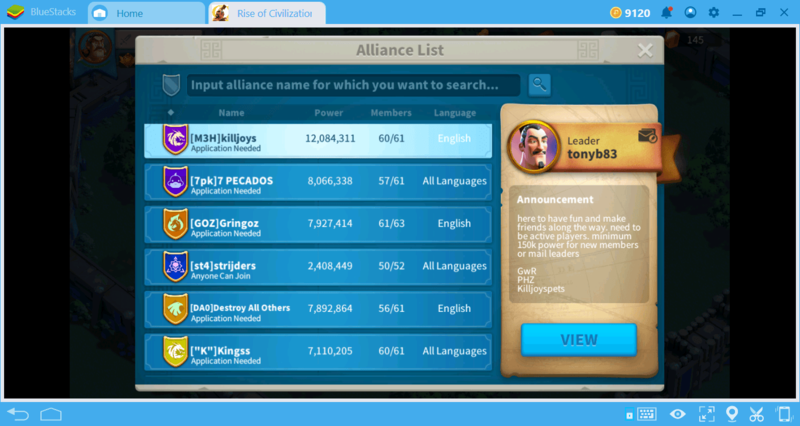 To join an alliance created by another player, just click the button with the same name. When you do this, you will see a list of all open alliances that can accept new members. 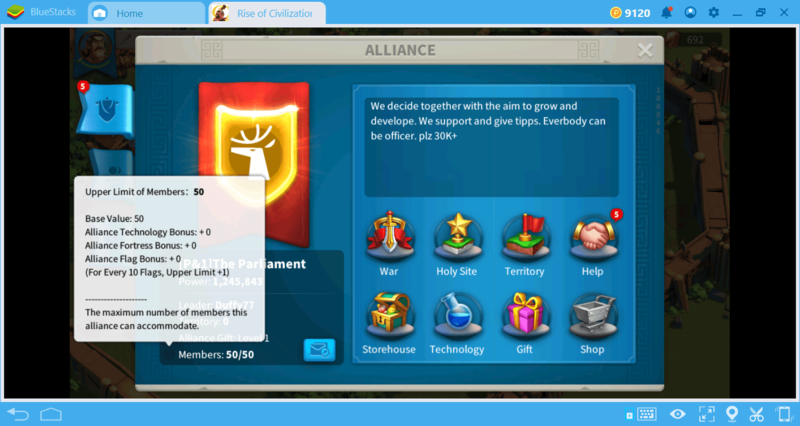 If the button next to an alliance says “join,” you can just click that button to become a member instantly. If the button says “apply”, your application must first be approved by the leader. Such alliances generally accept high-level players only and play competitively. If you are a casual player, choose one of the alliances that accept anyone and are more suitable for casual gameplay. Once you become a member, you can start taking advantage of the benefits this system provides. Let’s explain all the features on this screen one by one. War: If an Alliance member enters a war with another nation (or a raid-level enemy), you can see it on this screen. You can help the member by sending your own troops. Of course, if you enter a war, other Alliance members can send you help too. 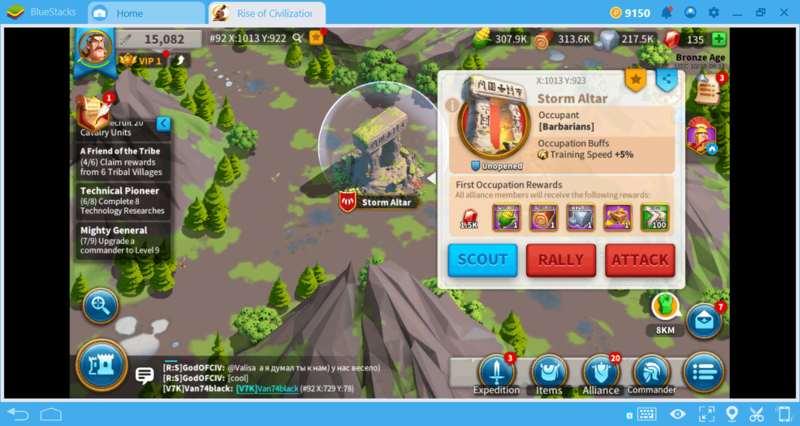 Holy Site: There are some special sites on the world map that each alliance can control. If you take control of one of them, all members of the alliance get buffs and resources. Moreover, each member gets 1.500 free gems. Even if another alliance member gets control, you win these rewards. However, each site is open for 3 days and only the alliance that keeps controlling the site for 4 hours gets these awards. In other words, there will be some bloody battles between alliances near those sites! When a site is opened and an alliance member attacks there, you will receive a warning and you will be asked to send help. Don’t miss these alerts – everyone in the alliance benefits by taking control of the site. Did you notice something in this screenshot? Fortress is surrounded by the cities of the Alliance members. 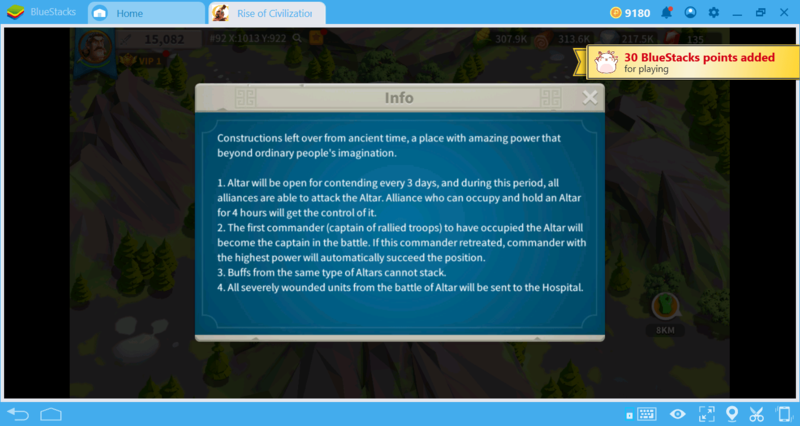 This is not a random thing: Every member of the alliance can teleport his city next to the fortress, including you. (We’ve told you how to do this in our FAQ guide.) 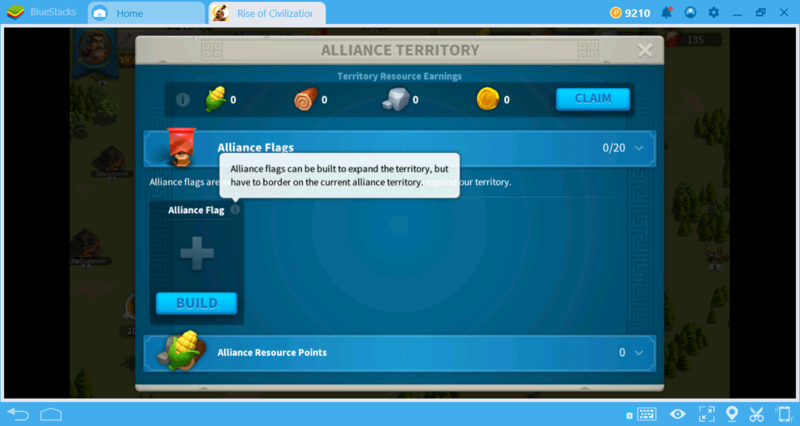 If you move your city near a fortress, you can place an Alliance flag on the surrounding resources and have all members benefit from those sources. In addition, the closer you are to the fortress, the faster your gathering rate will be. Every flag you use will make the area you control a little bigger. The red lines on the screenshot show how much space is under control. Of course, eventually, another nation/alliance will attack the region you control and seize the resources there. In this case, you need to respond as an alliance and help each other: The War option is primarily designed to be used in this situation. Help: Alliance members can send help to each other to complete building upgrades and research. Any help you receive will reduce the time required for these operations by 1% (min. 1 minute). You can also ask other members for help. You can earn up to 10,000 store credits every day by helping fellow alliance members. You can spend these credits at the Alliance Shop. Storehouse: Resources collected on the Alliance territory are stored here. 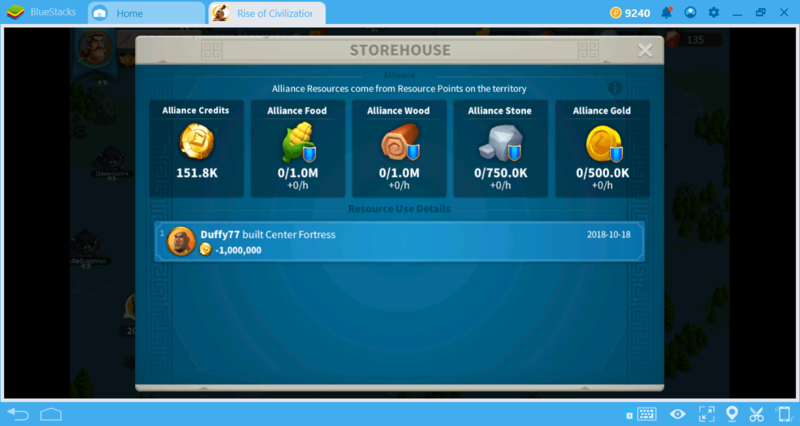 You cannot use resources within the Alliance Storehouse for yourself. Only the alliance leader has the right to use them as he wishes. But from this screen, you can keep track of the leader’s purpose for using the resources. Alliance Gift: If any alliance member beats an enemy of the raid level or buys a bundle from the in-game store, all members win a gift. Gifts include gold coins, store credits, and pieces of sculptures. In addition, each gift gives a “key” point between 20 and 50. When a total of 2,000,000 key points are accumulated, a special loot chest with rare items can be opened. Technology: This is perhaps the most useful feature of the Alliance system. When you become an Alliance member, a special research tree is unlocked. In this tree, various researches are carried out with the joint efforts of all members of the alliance and everyone can benefit from them. For example, you can increase your overall research speed by 8% or construction speed may increase by 15%. 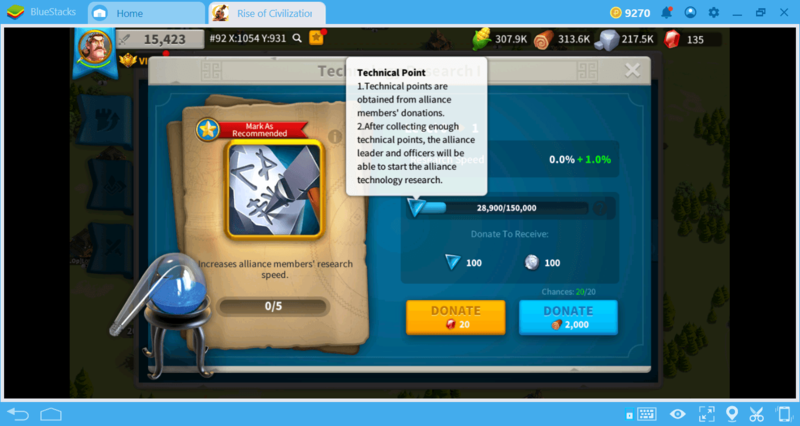 Anyone can send resources to an Alliance research, and the more the number of members that submit resources, the faster the research is completed. There are three categories you can research: War, Territory, and Development. You can choose any research you want, but we recommend that you choose those that are marked as an “officer’s recommendation”: They will be completed faster. Alliance Shop: We have mentioned above that you can earn store credits for your contribution to the Alliance. You can spend these credits at the store. Unfortunately, at the moment this feature is not available but is expected to become active in the near future. Being an Alliance member can help you gain some personal advantages too. 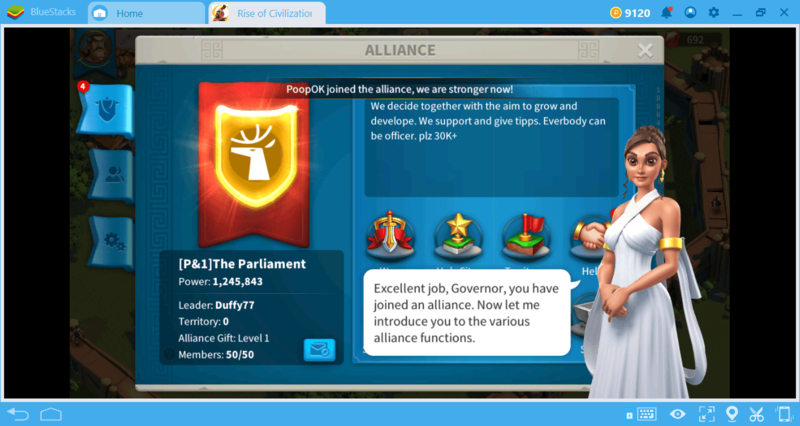 Alliance leaders can appoint certain members as officers. The officers get permanent buffs for different things. 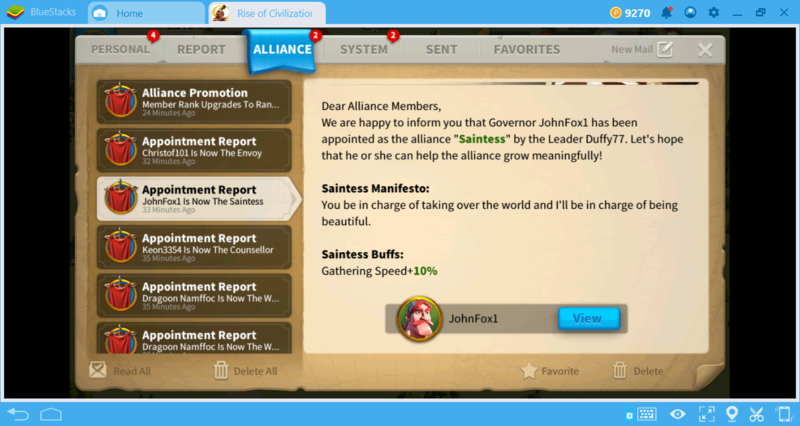 For example, members appointed as a “Saintess” get a permanent 10% gathering speed buff. These buffs are personal and only affect the officers. 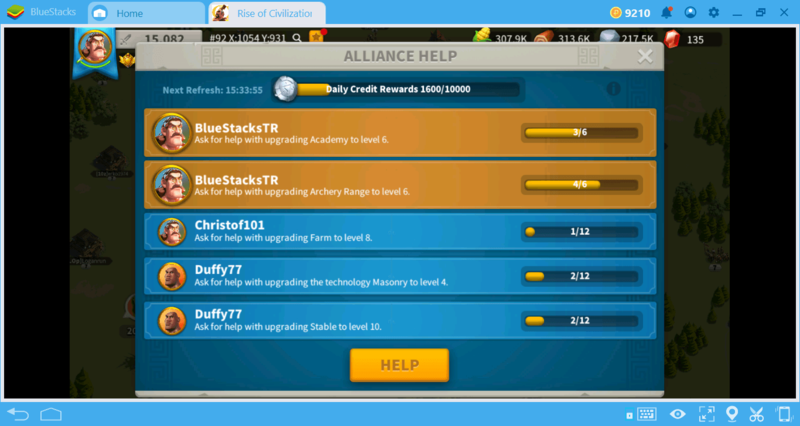 If you want to increase the benefits of an alliance, remember that you can add your own multiple accounts to the same alliance using the multi-instance feature of BlueStacks. 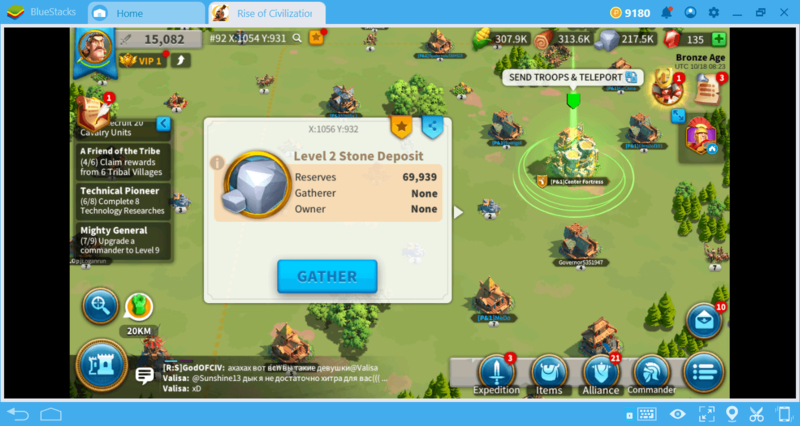 However, social communication is one of the most important features of Rise of Kingdoms – so we advise you to participate in one of the alliances in the game. Now, you know more about this interesting alliance system: It is time to help your alliance members and ask for help. The way to survive in this lawless world is to be united! 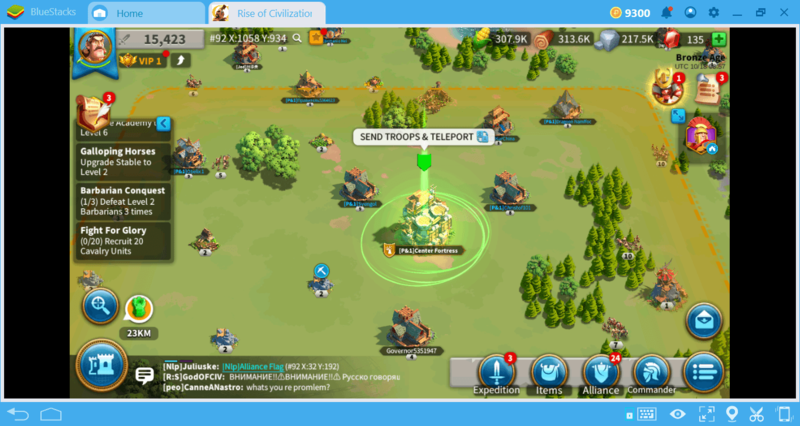 Don’t forget to read our other guides to learn more about Rise of Kingdoms.